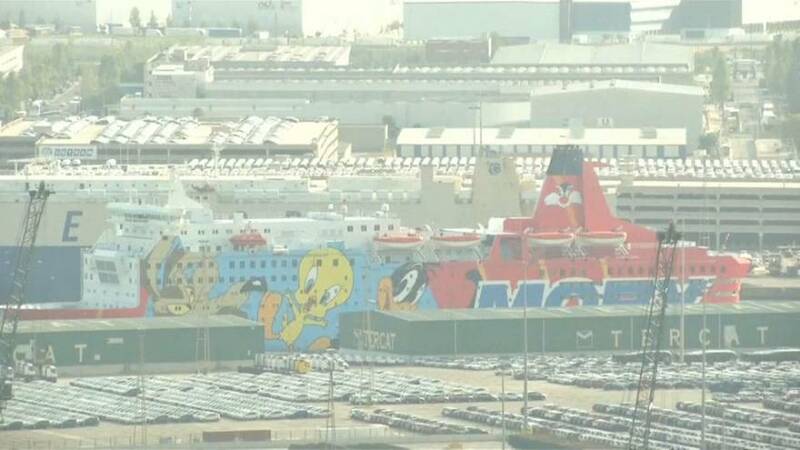 It became an internet meme, but now the cartoon-decorated boat that housed Spanish police in Barcelona is finally leaving. But security forces will stay behind until the Catalan election on December 21st. Extra police were sent to Barcelona for the referendum on independence which turned violent as police used batons to attack voters outside polling stations. Spanish police had earlier arrested Catalonia officials ahead of the vote in an effort to stop the referendum. Those arrests prompted a general strike in November calling for the release of the officials which saw hundred of protestors storm railway stations in Girona and Barcelona and blockade major roads in the region. Prime Minister Mariano Rajoy has urged Catalans to turn out in force for the December 21st election to “restore normality” to the region.